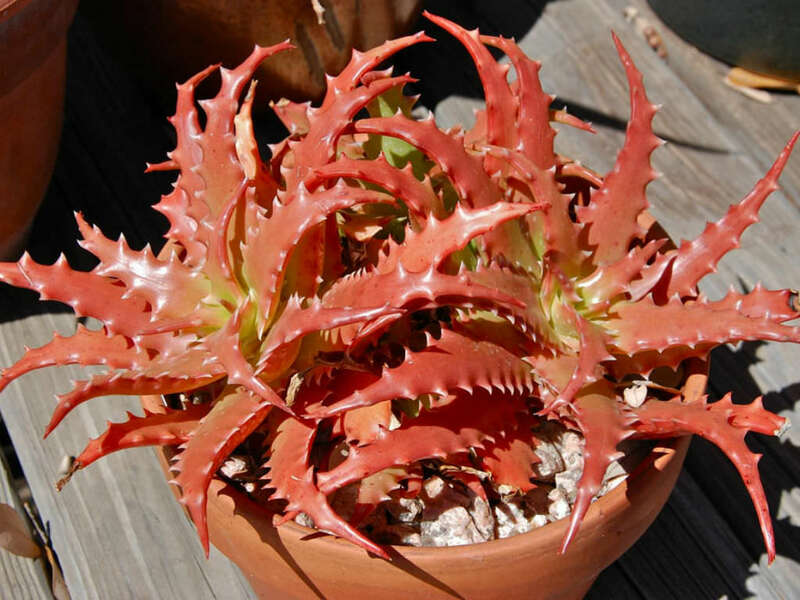 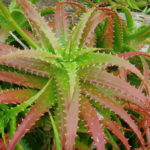 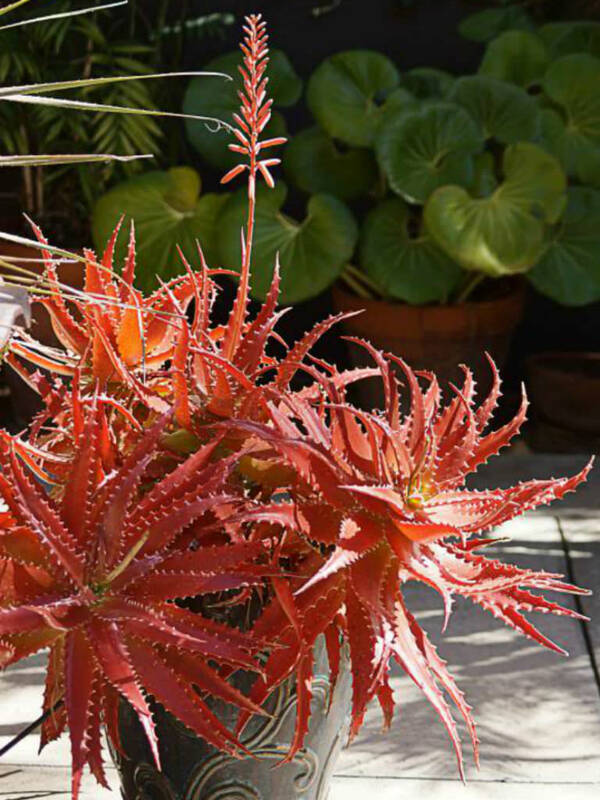 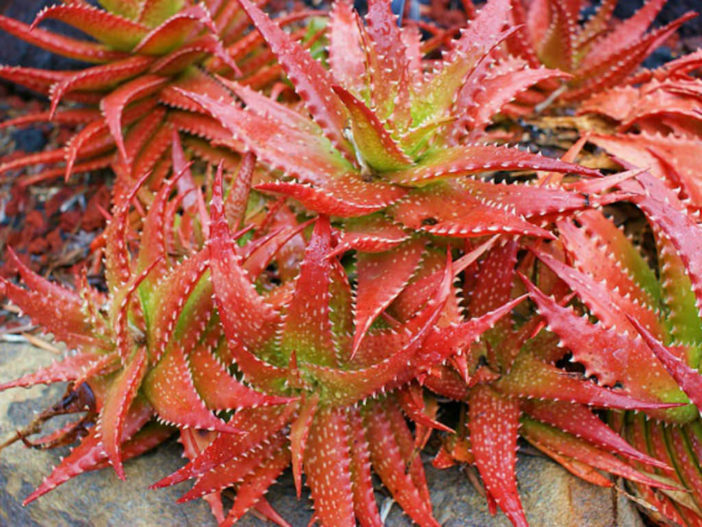 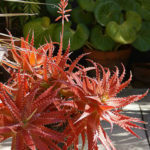 Aloe dorotheae is a nicely colored low-growing succulent plant that suckers to form clumps of rosettes up to 20 inches (50 cm) wide on short stems up to 10 inches (25 cm) that lie flat to the ground. 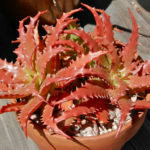 The stiff shiny leaves are colored greenish yellow to bright orange red often with some white spotting when young and stiff spines along the margins. 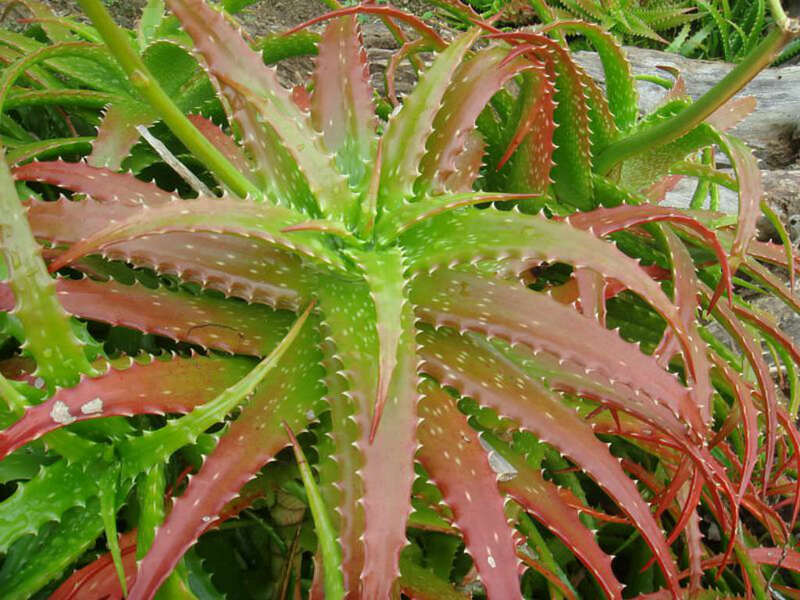 In mid to late winter a 1 to 2 foot (30 to 60 cm) flower spike (usually unbranched) rises above the foliage with dark flower buds that have green at the tips and open to show greenish-yellow petals.